The Epson EB-L610U features 6000 ansi lumens, native WUXGA resolution (1920 x 1200 pixels, 16:10 aspect ratio), extensive connectivity and a laser light source for up to 20,000 hours use for total peace of mind presenting and no costly lamp replacements. Whilst stocks last purchase the Epson EB-L610U projector and the Epson CoverPlus 5yr onsite swap out projector warranty upgrade and get the warranty upgrade for just £87+vat (RRP £630+vat). You won't find this offer anywhere else online. 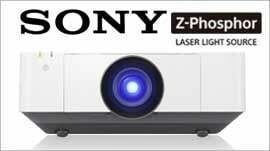 The Epson EB-L610U is the flagship unit in Epson's new range of fixed lens laser light source LCD projectors. The LB-610U features 6000 ansi lumens, native WUXGA resolution (1920 x 1200 pixels, 16:10 aspect ratio) and a laser light source for up to 20,000 hours use. Strong lens ratio of 1.35-2.2:1 with a 1.6x optical zoom as well as manual lens shift (+/-50% V and +/- 20% H) means the EB-L610U is immensely flexible in distance to screen positioning to achieve your desired image width. 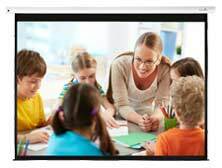 Extensive connectivity including HDBaseT, dual HDMI and VGA inputs caters for a multitude of sources being connected to the projector and switched between using the supplied remote control. Add to the above a rock solid 5 year, 12,000 hour projector warranty and the EB-L610U really does offer exceptional value for money. The EB-L610U laser projector is the ideal replacement for existing lamp-based models in meeting rooms and educational establishments. It offers outstanding 6,000-lumen brightness, Full HD WUXGA resolution, and a range of great features including HDBaseT and HDMI connectivity, screen-mirroring and lens shift.